Playhut Minnie Mouse Classic Hideaway Just $14.53! Down From $21! You are here: Home / Great Deals / Amazon Deals / Playhut Minnie Mouse Classic Hideaway Just $14.53! Down From $21! 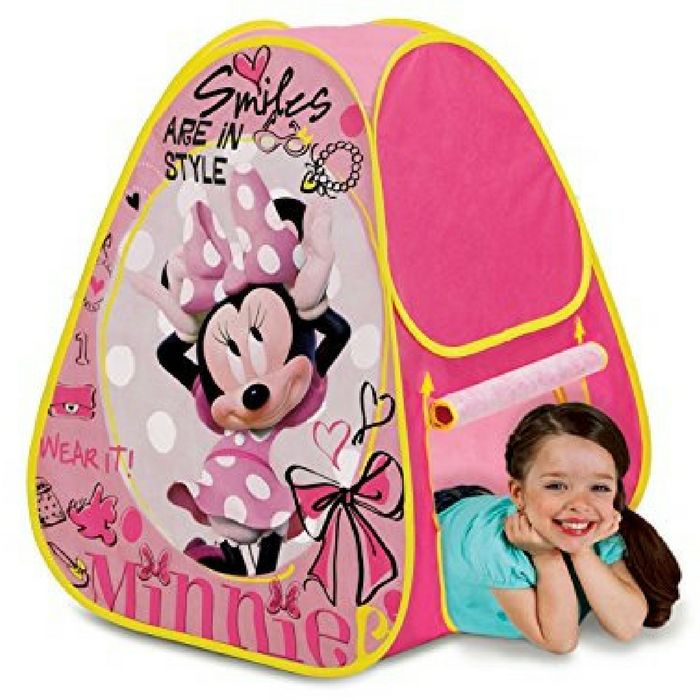 Amazon is currently offering this Playhut Minnie Mouse Classic Hideaway for just $14.53 down from $21.03 PLUS FREE shipping with Amazon Prime or for orders over $25! Your young child will love their Minnie Mouse Classic Hideaway from Playhut! Patented Twist ‘N Fold Technology allows for instant set-up and easy fold-down storage. Made with durable, soft material. Lightweight and portable for easy play anywhere! Ideal for children ages 3 and older.